Ginny Vee being born in Italy and wanting to making her dream a reality she took herself over to LA and with her amazing vocals and performances Ginny signed to Disco:Wax apart of Sony! The dance anthem was arranged by Steve Manovski and then got spiced up with the vocals by Ginny that just give the track that extra special sentiment. The performance throughout is filled with so much passion and just sets the fire alight with a bang! So infectious in such a beautiful way and gets you in the party mood and ready for the summer! Be ready for Ginny to be global, so much more to come! 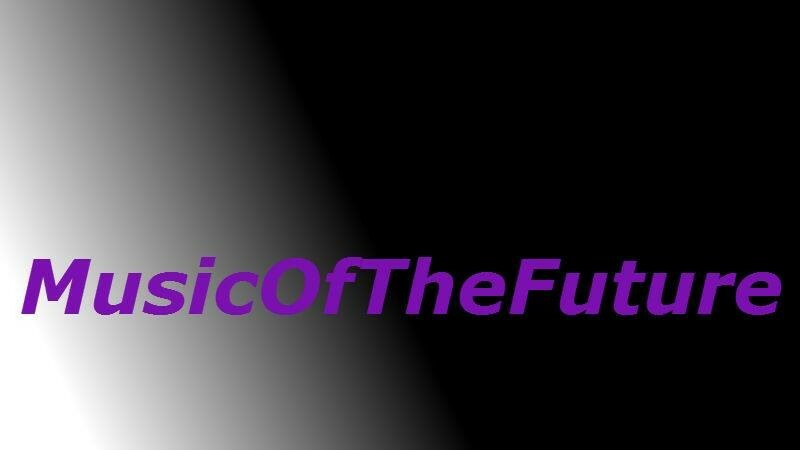 This entry was posted in announcement, GEMMAMUSICOFTHEFUTURE, LOS ANGELES, NEWS, quite great pr, Review, Uncategorized and tagged DANCE, DISCO:WAX, GINNY VEE, HOUSE, italy, LA, Music, pop, SONY, STEVE MANOVSKI, summer, TRACK. Bookmark the permalink. born and raised in southern california, always loved country music, been singing since i was 2, writing songs in my head since i was 6 and my parents wouldn’t allow me to have music lessons. I can play piano by ear and am self taught on the guitar. Bought my first guitar 7 years ago. Was an actress and model and played my music publically for the first time at a friends wedding. Years ago. It all took off from there. very autobiographical song. Never was brave enough to play for people but always knew i wanted a life on the road. It dictated my other choices. But music is where i am meant to be. Its never too late to follow your heart. Did you work on it with anyone if so who? I wrote that song by myself, as with most of my songs. I get invited to co-write sometimes, but i like doing alone better. recording was amazing! East/west studios in hollywood, ca and with amazing musicians. It was heaven to me every single day! How was the writing process for the song? I wrote on the road in my little one bedroom apartment in los feliz california. After a hike.. feeling my usual wanderlust. Wrote in a couple hours. You also released ‘Love’s Not Going Down’ tell us more about it. Love’s Not Going Down was written in one night after an act of terroism. I was so upset and everyone was posting about it on social media, so i thought i write something beautiful as my way of combating the violence. I love the song. Who was the first person you let listen to the EP, when it was completed? Will we see a tour or any gigs? yes. I am leaving tomorrow for tour. Opening for Rick Springfield on his stripped down shows! Its awesome!!! If so where will you be heading? Inspiration comes from everywhere. A conversation, walking in the airport. Usually its a word that someone says that triggers it. Winning grammys and playing with all of my idols!!!!! There are too many songs! Way too many. I have listened to so many songs i love a million times. Literally. Follow the voice in your head. Be honest about who you are and Share yourself! This entry was posted in announcement, DEBUT, Ep, interview, introducing, LOS ANGELES, music, NEWS, SINGLE and tagged COUNTRY, Ep, FOLK, Jennifer Lynn Simpson, Music, new usa, singer, SINGLE, songwriter. Bookmark the permalink. INTRODUCING KLEZ WITH HIS LATEST SONG ‘HOLIDAYS HERE AGAIN’ WE CHAT ALL THINGS MUSIC,GIGS AND WORKING ON HIS SECOND EP! A: I was born and raised in California listening to Soul and R&B classics. Mixing my own life story with the inspirational songwriting style of many prominent Soul artists before me, I have found a way to connect with a wide array of people through my music. Though I am currently finishing up my time in college, you can find me performing at various clubs and venues in San Francisco and Los Angeles. A: Music has always been something that has made sense and worked for me. Through trials and triumph alike, from childhood to present day, music has always been there to narrate my life and allow me a creative outlet as a musician. I have always been filled with respect and admiration for those who create positive change with their music, so it made at a young age to seek a career as a singer/songwriter, and a performer. It also helps that my family was/still is loving and supportive in all that I do. You have releasing ‘Holidays Are Here Again’, tell us more about the track. A: ‘Holidays Are Here Again’ tells the story of someone driven by love and nostalgia, to make it home to their loved ones for the holidays. I was fortunate enough to have assistance from producer/songwriters Roger Gisborne and Dylan Kelly, who really brought a lot of holiday spirit to the production of the track. A graceful intro and chord progression by pianist Corey Walles sets the initial scene of the song and from there it continues to build. What was the writing process like, to make it more original and not similar to other original christmas songs? A: The writing process was challenging, because I wanted the song to feel familiar without actually being something that was done or heard before(which is often easier said than done). There’s a distinct difference between paying homage and replication, so I made sure that this song had it’s own distinct production and sonic quality that set it apart from previous holiday classics. Would you ever do a Christmas EP or Album in the future? A: Though I don’t currently have any plans to create a Christmas EP or Album, I don’t see any reason why that can’t be a possibility in the future. Will you be heading out for any gigs this festive season? A: I’ll be spending the remainder of the year working on my second EP, but you should be able to find me performing around San Francisco and Los Angeles in January. Who was the first person you showed your new single to once completed? A: I think I either showed my mom or my brother the song before I showed anyone else. Both of them have an eclectic taste in music, so I often show them my music first. If you could perform for 5 people in the music industry who would they be and why? A: It’s difficult for me to name anyone specifically. Though I have been greatly inspired by many people in the music industry, I believe that everyone’s opinion and reaction to my music holds equal importance and gravity. The opportunity to perform for any number of people and leave them with a positive and memorable experience is more important to me than anything. A: Yes, I began playing guitar around 10 or 11 years old. Despite my nearly non-existent attention span and my inability to afford lessons (for more than a couple of months), I found a way to teach myself to play guitar, piano, and bass. I continued to experiment with instruments and play by ear until I learned to read music as a young teenager. Since my younger years as a musician, I have received more music lessons and theory training here and there, but I prefer to focus more on the emotion of a song than the theoretical “correctness”. Learn the rules so that you can break them…I’m not sure who came up with that saying, but it’s great. A: My list of influences is always getting larger, as I am always pushing myself to broaden my musical horizons, but my main influences include: Sam Cooke, Marvin Gaye, Smokey Robinson, and Otis Redding. I think that more people will get a better feel for this on my second EP, but in the meantime, a live performance always makes these influences very apparent. A: I usually get my inspiration from memories and experiences in life. I do my best to not have a closed mind about sources for potential inspiration though, and I always make sure to embrace it when I have it. If inspiration strikes in the dead of night, then I will wake up so that I can record, then go back to sleep after. You can always catch up on sleep, but you can’t always remember a great song idea, if you let the moment pass. A: I see myself continuing to make music in a community that inspires me and that I can affect in a positive way. I will continue to follow opportunities on the road, I will continue to make connections along the way, and I will continue to enjoy the journey…wherever it is that it might take me. A: Whether or not I am making music, I am always listening to music. That being said, any time that isn’t spent making music is usually spent cooking or dancing. I used to ride my motorcycle around as well, but it I need to fix it, so that hasn’t been part of the routine for a little while. A: There wasn’t a song that influenced me to get more involved in the music scene, but there was a person. My brother, who was on the board of directors at the college radio station where I worked, really encouraged me to be more active in the local music scene. If it weren’t for him encouraging me to do a singer-songwriter competition, then I might not be where I am today. A lot of great things happened and connections were made that night, and I don’t know how things would have gone otherwise. A: To enjoy the ride more and worry about the destinations less. If you’re always focusing on where you were yesterday or where you need to be tomorrow, then you’re never really appreciating the moment that you are currently experiencing. A: Don’t lose sight of who you are. There are billions of people in this world, and though we are all similar in many ways, each of us also has our own unique qualities. Many artists are put in situations where they may feel pressured to change themselves or their craft, but if there’s one thing that this world can’t get enough of, it’s authenticity. Also, don’t be deterred by people who try to drag you down with negativity. There are plenty of people like that, but they can’t harm you or your music if you don’t allow it to bother you. Yes, I realize that I just gave you my own quote, but I do live by that saying. I think that it’s important to strive for progress and change. Whether you are a musician or not, I think we can all agree that if people never changed their ways of thinking then this world would be a sad place to live. Where is your dream venue to perform? A: I don’t have a dream venue. The venue doesn’t make or break an experience as a performer. I’d rather perform at an intimate venue with an interactive audience, than perform at a gigantic venue with a static crowd. A: For me, it is essential to not forget the following: a positive behavior, stretches before performing, water, instruments, and my bandmates. 1/ where do you visit first? A: I would return to my grandmother’s house, as I lived with her for a number of years, and my parents don’t live in my hometown. Also, my grandmother listens to great music, cooks great food, and we get along very well. 2/where do you eat first? A: I would eat at my grandmother’s house. I guarantee you that my grandma cooks better than any restaurant that I could go to. 3/who do you see first? A: I would see my brother first. We grew up close to one another and we have remained close. We usually show each other new music and original songs as well, so that’s plenty reason for me. This entry was posted in announcement, Ep, Interview, introducing, live gig, LOS ANGELES, music, NEWS, SINGLE and tagged CALIFORNIA, holidays are here again, KLEZ, Music, second ep, SINGLE, Solo Artist. Bookmark the permalink. HIP HOP 8 PIECE ‘HIGH SUNDAY’ ARE READY TO SHARE THEIR NEW EP ‘ HIP HOP ANNONOYMAS’ AND YOU CAN GET TO KNOW MORE ABOUT IT RIGHT HERE! How did you meet eachother? We met each other through mutual acquaintances in the music world. Describe eachother in one word. Your self titeled EP ‘ High Sunday ‘ is being released soon, tell us more about it? The debut EP is 4 songs that we feel encompass the general message that we’re trying to convey as a band. We want to inspire and show that the music doesnt have to be dumbed down, or even familiar to the ear to be great. we have something great happening here. The writing and production happened over a couple of years, in various locations and the mindset, but when it comes to recording, everyone usually so ready and so professional , that I just have to press record. Describe each track in three words. You gave ‘Hip Hop Annonoymas’ out as a free download, what was the reason behind that? It was a part of PR campaign leading up to the release of the EP.We needed the proper outlets to have their hands on a song or two before the big roll out. Do you have any videos to accompanie the EP coming out? What is next for you all? First we want to make sure that this EP release goes properly, and we have a video coming out next month. also the big “release” party will be in Hollywoodon Jan 20th, otherwise we’ll be playing at Skinny’s Lounge in North Hollywood December 8th. We are always collaborating for live shows.We have huge special guest appearances to where we’ve had up to 10 performers on the stage at once! As far as music we have plenty of collaborations,and we’re always open to more.We didnt become a uper band by being closed minded , and not willing to work with other musicians. we have so many different life stories and experinces to draw from but also weed. For anyone vistiting Los Angeles, where would you reccommend them to go? Set up merch booth , plug all night , drink something ,smoke something, and …the lyrics. Cant forget the lyrics! This entry was posted in announcement, Band, Ep, interview, introducing, live gig, LOS ANGELES, music, NEWS, Uncategorized and tagged Band, High Sunday, Interview, LOS ANGELES, magic tree productio., Music. Bookmark the permalink. LITTLE MONARCH THE UNSIGNED TRIO FROM LA READY TO SEE WHAT YOU ALL THINK OF THEIR SOUND,GET TO KNOW MORE ABOUT THEM HERE! Nick and I (Casey ) Met at a school I was teaching at about 2 years ago. I met lanita about 9 months later at House of Blues where she was playing Keys in a band I was listening to. Nick and I had already been writing together for a bit and then we brought Lanita in to hang and collab with us . Your self-titled EP was recently released. Can you tell us about it? Its been a really fun and rewarding process. We have a lot of different things going on sonically in the group so getting a project that sounds cohesive was important. Our producer Ryan Marrone killed it on that. The actual recording only took a couple weeks but mixing, tweaking, and getting all the other elements ready for release took us longer than expected. Learned a lot and cant wait to get back into the studio in the New Year to cut some more songs. Fun and casual. We recorded in this studio apartment complex on Melrose in LA… small and quirky space but really great sound. We survived on Pizza and Whiskey. ‘No Matter What’ was released on ‘All Things Go’ — how was that for you all? It was awesome. We are so stoked on all of the support we have been getting surrounding the release. Do you have videos in the works? If so, what can you tell us about them? Not yet but soon. We want to put our funds into recording more music and then in time making some great music videos. Casey, you released a Jazz album before Little Monarch was born. What is it like to now be part of a trio? My jazz record was the first thing I ever released. Its been a wild ride musically since then and I think this project is a great representation of where I am at in terms of what I love to sing and listen to now. The Police, Coldplay, Alabama Shakes, Blood Orange, Tame Impala to name a few more contemporary acts. Rolling stones, Beatles, The Cure are some classic groups we love as well. MHow do you get inspiration to write songs? A lot of the time we start out with a guitar part that Nick has written and build from there. Usually takes us an hour or two or talking, eating, hanging, and then we get inspired and pick up instruments. Touring, a couple more albums, maybe even collaborating on some film scores. When you’re not making music, what do you do? What would be your dream venue to play in your hometown? I just started watching Better Things on FX and I love it. So either that or maybe Suits since my parents love that show lol. For anyone visiting Los Angeles, where would you recommend they go? If you could collaborate with one UK Artist or Band, who would it be? If you could collaborate with one US Artist or Band, who would it be? 2. What is the first place you see? 3. Where do you go first to eat? This entry was posted in announcement, Interview, introducing, LOS ANGELES, music, NEWS, SINGLE, Uncategorized and tagged Band, Little monarch, live, LOS ANGELES, Music. Bookmark the permalink. From Maggie McClure’s music being heard in a variety of tv networks to Shane Henry opening up for many great music artist the two have come together and produced a brand new CHRISTMAS SONG! I’m never a fan of some of the Christmas songs, it’s the same all year round don’t you think? Still having that Christmas vibe but has a more heavy start which surprises you at first and then once Shane’s vocals comes through it really has you up and singing along and Maggie voice is like an angel that just flies in giving the song that extra special touch! The lyrics are fantastic and very singable at the Christmas table when your having your Christmas dinner and chat with your family. This entry was posted in Band, interview, LOS ANGELES, music, NEWS, Review, SINGLE, Uncategorized and tagged christmas time, festive, maggie mcclure, Music, NEW, Review, shane henry, SINGLE. Bookmark the permalink. REVIEW: @tay_noelle FROM LOS ANGELES IS SET TO MAKE HER DEBUT WITH HER EP ‘OUT OF MY SYSTEM’ AND ITS TOTALLY OUT OF THIS WORLD. Not all can say they have moved states at 20 but Taylor Noelle has ticked it off her list of to do’s from moving from Los Angeles to Nashville to persue her dreams! The new EP was produced by Andrew Connor and set to release on the 25th November 2016. With four tracks that you straightaway feel the pop vibe really excites you to hear how it all comes together. Track 1 ‘ Too Good’ an interesting instrumental that puts a smile on your face even before the stunning vocals come through. With fantastic beat and sing along song you really feel the way this song moves and its great. ‘I Fall’ is track number two and I have a preview you all get to hear before the release of the EP so Ill leave this one to you guys to get your opinion on but i will say you’ll have it on repeat.Its slower than track 1 one but still has those silvery vocals and fits the theme so magically. track 3 ‘ Wont Waste My Time’ with a title that makes you wonder how this track will go , its definitely a surprise in a magnificent way. last up is ‘Covers Me’ a very story telling song that feels personal to Taylor and the way it is sang is so beautiful and peaceful. with an instrumental that you just would love to hear over and over and vocals so professional. ‘OUT OF MY SYSTEM’ WILL BE LIVE ON DIGITAL DOWNLOAD AND STREAMING SERVICES THIS FRIDAY SO BE SURE TO GO GRAB A COPY AND STREAM IT. FOLLOW TAYLOR NOELLE FOR SO MUCH MORE MUSIC AND GET TO KNOW MORE ABOUT WHO SHE IS! This entry was posted in announcement, DEBUT, Ep, introducing, LOS ANGELES, music, NEWS, Uncategorized and tagged DEBUT, debut EP, LOS ANGELES, Music, nashville, out of my system, pop, project light angency, Taylor Noelle. Bookmark the permalink. King Washington are a LA based Rock band made up of Tyson,George,Billy and David and ready to show us all their own version of ROCK! Having toured with Artic Monkeys these guys are ready to get their fan base to scream about them and screaming they should be doing.l in a great way! My Reflection throws you off from the beginning with a slow start which makes you wonder about the rock but then it instantly kicks in and when the vocals and instrumental merge you really feel powerful sound. The lyrics are perfect giving you that feeling of this track just belongs to King Washington and it sang with so much dedication. Produced so well that you just really makes you want the next release now! This entry was posted in announcement, introducing, LOS ANGELES, music, Review, SINGLE, Uncategorized and tagged artic monkeys, Band, King Washington, LOS ANGELES, Music, Review, SINGLE, Tour. Bookmark the permalink. Wanderer has come out the studio with yet another fun and upbeat song. The guitar riffs at the start then the drum hit grabs you attention and takes you straight in to the song and makes you want to dance. The professionalism through the track shows magnificently where as the vocals just make your heart melt, so smooth and gives it that energetic feel at the same time. This is something you should be listening to with your friends and just you wait for a lot more to come from Wanderer because you will be hearing a lot more! This entry was posted in Ep, introducing, LOS ANGELES, music, NEWS, Review, SINGLE, Uncategorized and tagged arizona, call me crazy, Music, Review, SINGLE, wanderer. Bookmark the permalink. I’ve been performing since I was 4 years old, I was raised in Phoenix Arizona and won a gospel music award for vocals. Shortly after, I moved to Los Angeles and started a career writing pop music and acting for television. I’ve been a session singer for years and have worked on projects for the rascal flats, Glee, and even the new cartoon SING. I currently wrapped a new kids show called “Q-Wunder” with Alyson Stoner and am working on my new personal record. When I first hit the stage I felt at home. I think it made sense to me and as I got older it became more and more clear that I was meant to entertain people. Nobody makes you do it, your heart and your head just know. I’m currently independent. I’ve done the label thing, and it’s good to be signed at the right time. It’s all strategic. Your brand song “fairytale ending” comes out on the 30th of August 2016 , tell us more about it. I’m excited about the stripped version of Fairytale Ending. It was a song that I wrote for a friend. I asked her why she wasn’t married. She’s so beautiful, kind, and deserved a good man. She was down and out, she was crying with me about how nobody would marry her. I wrote this song for her, sang it to her, and, within a year, sang it to her and her husband as their first dance at their wedding. What was the writing process like for “fairytale ending”? This process started with a relationship. Knowing somebody worthy of love, but not receiving it. I was thinking about cheering her up the whole time that I wrote it. From the relationship to the guitar to the lyrics and melody, this one came together and is a song that I love to this day. Will we see a new ep or album this year? I hope so. If it’s not released this year it will at least be recorded. I’ve been choosing between hundreds of songs that I wrote and it’s been tough to choose which will best suit the direction of my music for the coming year. Do you have any gigs or tours coming up? I currently don’t have anything on the books as I’m recording my record but expect to have some dates in the near future. You were on the voice and american idol, how were they different? Most of the crew has worked on both shows. The difference is that they have different judges. Other than that, it’s pretty similar. I think Idol has a better track record for creating artists that stick around, but the voice really does have some incredible talent come through. You also got cast as a warbler on Glee, How did that come about and what was the best piece of advise you got? I received a call one day from the executive music producer of the show one morning saying that “I have an opportunity for you”… I shot out of bed and called back. He had mentioned that he randomly found me on Facebook from a picture that I had tried to take down for weeks (but the computer wouldn’t let me). That very picture booked me the job for Glee. It changed my life. Tim Davis advise to me was to “be the light.” It’s been the best piece of advise that I’ve received in this industry thus far. He will always be at the front of my Thank you list. I do. I play guitar, piano, uke, and most stringed instruments come natural. Girls, God, Family, and life experiences. When it comes to musical style, growing up my influences were Bono, Billy Joel, Elton John, Elvis, Celine Dion, and the Bedingfields. I normally wake up with a melody. If the day doesn’t start with that Ill sit down at the piano and just start playing, or a current event will take place that moves me to the lyric first and I’ll base a melody around that. In 5 years I see myself touring, employing people, producing, writing, married, and living in LA, Nashville, and London. When I’m not doing music I’m investing time into people. I moved to LA to help people through life issues. It just so happens that music has been a part of that help. I really enjoy coffee and hanging or a solid flick. Im kind of a hopeless romantic, so I don’t really mind a good chick flick every once in awhile. Ha! I loved “Sunday Bloody Sunday” by U2, Celine Dion’s “all coming back to me”, Billy Joel’s “for the longest time”, Elvis’ “Jailhouse rock”, Elton John “candle in the wind” Daniel bedingfield “If you’re not the one” & “Gotta get through this”. All of these songs inspired me. Do unto others as you’d have them do unto you. I live by the Golden Rule and I can attribute any success that I have to that Gold Standard of living. Be Original. This world can be very black and white and it’s our job as artists to bring the color to the people. Think of different ways to say the same thing, think of different things to say, open your eyes and ears to your surroundings and be the mouthpiece for your people. Frank Gifford put his arm around me once and said “age is just a number”… This inspired me to live till I’m 120, to always keep the same spirit that I had when I was 14, and to not let my being young destroy my effectiveness to the old, but not let my being old destroy my effectiveness to the young. There is this little mexican restaurant called Via de losantos that has a dish called the “marylou” it is unreal. My favorite place in AZ! This entry was posted in interview, Interview, introducing, LOS ANGELES, music, NEWS, Review, SINGLE, Uncategorized and tagged arizona, Brock Baker, fairytale ending, Music, PHOENIX, pop, singer, SINGLE, SOUL, tv. Bookmark the permalink.